This weekend, our friends from Fresh Monkey Fiction and ZicaToys will be in attendance at DesignerCon in Pasadena, California. DesignerCon is an annual art and design convention that smashes together collectible toys, customs, plush, designer apparel and so much more with urban, underground and pop art! It’s a celebration of all aspects from the world of design. 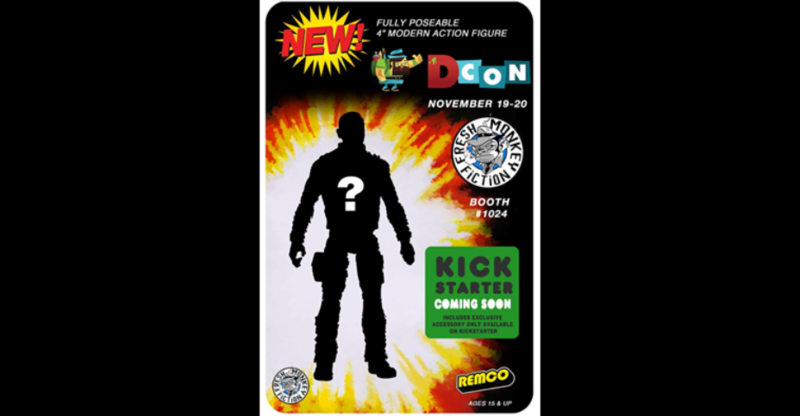 The crew will be at booth #1024 where they will reveal a NEW 4″ figure! It’s not Eagle Force related, but we’re sure that fans of 4″ Modern Army Action Figures are surely going to dig it! For now, feast your eyes on the teaser image shared with us, then join in on the speculation after the break!